Every time I get to visit the Walt Disney World Parks and Resorts, I like to make sure I experience some Disney Firsts. Whether it's something big (like a major attraction), or something small (a new snack offering, perhaps?) there's always more to experience, no matter how many times I visit. You can read about some of my previous Disney Firsts here, here, and also here. First runDisney 10K - As this post goes live, I'll be on my way to Walt Disney World for the runDisney Marathon Weekend. While I'm not running the marathon, or the half...I AM running my very first 10K! This is a huge step for me, and it's something I've been working toward for a long time. It's been a major goal, both physically and emotionally, and completing this race will be a major milestone for me- and for more than just the running aspect. This is big, folks. Wish me luck. O Canada! - Could this actually be the trip where I make it to O Canada!, the Circle-Vision 360 movie in the Canadian pavilion in Epcot's World Showcase? For one reason or another, O Canada! always seems to get bumped from my list of things to do. It remains the only movie in WDW that I haven't seen. Could this be the trip?? I'm putting it on my list, and maybe this time, it'll stick. Splash Mountain- I finally experienced this classic attraction! And I was...underwhelmed. I know this is a favorite for a lot of people, but it didn't do anything for me. I don't really like the big drop, and I don't like the big splash. The whole theme of this attraction just isn't my thing. The one aspect I did like- the length of this attraction! It seemed like it went on and on. It may seem strange that I like a longer length on an attraction that I just admitted was not my thing- but a longer run time is such a welcome rarity these days. With so many attractions that seem like they're over before they even get started, it was nice to experience one that lasted a while. I did love the post-drop scenes- so maybe I was just anticipating the drop too much to enjoy the earlier scenes? Restaurants- Captain's Grille and Todd English's bluezoo were both on the agenda, and we made it to both (for a change!). The verdict: Captain's Grille was pretty mediocre. There was absolutely nothing special about this meal. The food, the service, the atmosphere- all mediocre and unmemorable. I don't foresee a return visit here. As for bluezoo? One of the best dining experiences I've had! The restaurant is gorgeous, service was impeccable, and the food was divine. Osborne Lights- I can't remember ever being more unexpectedly impressed with a WDW experience. I was surprised. Shocked, even. I like holiday lights as much as the next person, but I feared the over-the-top extravaganza would be a bit... tacky. Was I ever wrong! It was beautiful, festive, and really incredibly impressive. I'm so glad I got to experience this, and I hope I get another chance in the future. If you have the chance to go- do it! Yacht Club- Despite several problems with check-in, some magic band issues, account problems at the front desk....I can say that this is one of my top WDW resorts! I loved Yacht Club. The location is ideal, the atmosphere is fantastic, and it just seems a little bit of a step above many other resorts. It's got all the benefits of Beach Club, but with a little less traffic. Perfect. Plus- GIANT GLOBE. 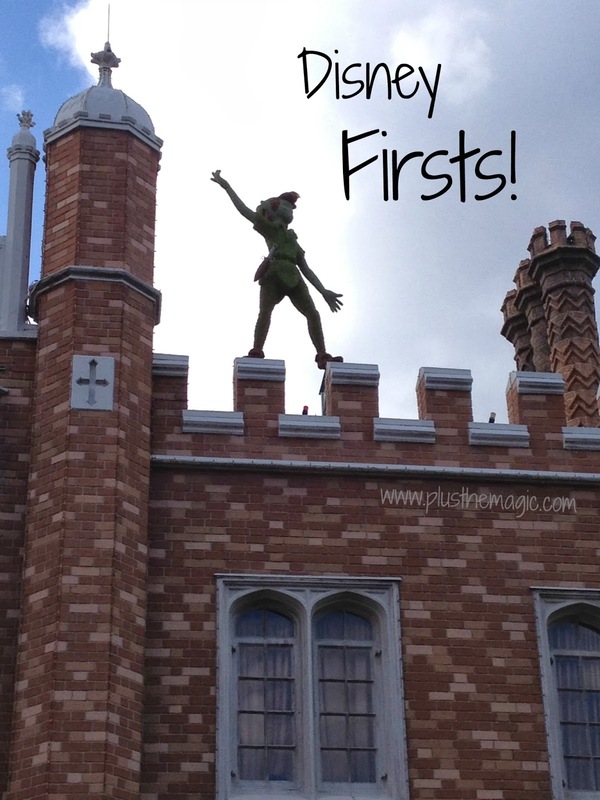 What Disney Firsts are you looking forward to on your next visit? Whoo-hoo! Sounds like a great trip! Looking forward to future reports. I totally agree on Osborne lights. Fantastic. But shocked at your assessment of Splash....so interesting to hear your take on it, though! We're going to Disney in March. I'd love to see the Osborne lights one day. I stayed at All Stars Movies once and it was okay. Nothing fancy, but we weren't in our room much anyway. This time we're staying at Port Orleans Riverside in the Royal Room. I smile every time I think back on those lights. Enjoy your Royal Room stay in March!